After revealing at Comic-Con last month that he wants to return as the Daywalker in Blade 4, The New York Daily News reveals that Wesley Snipes is now set to return for the sequel. Sources claim his comeback is "looking good" after serving nearly three years in a federal prison for tax evasion, and that he will make $3 million for the sequel, along with an undisclosed cut of the profits. Wesley Snipes starred as the title character in 1998's Blade, 2002's Blade 2 and 2004's Blade: Trinity, which were all distributed by New Line Cinema. 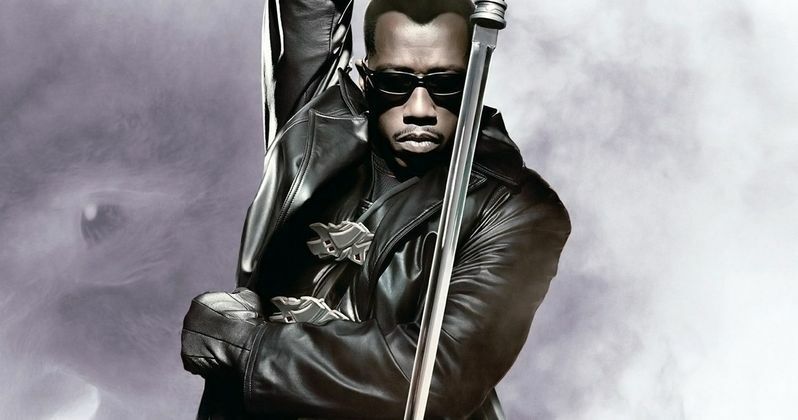 Marvel Studios reacquired the rights to Blade in May 2013, and the studio announced later that month that a new Blade movie is being developed. Neither Blade 4 nor the casting of Wesley Snipes has been announced by Disney and Marvel Studios. The film doesn't currently have a screenwriter or director attached, but we'll keep you posted as soon as more information comes in.